Paramdeep (Param) Singh is Co-Founder & Executive Vice Chairman of JioSaavn. 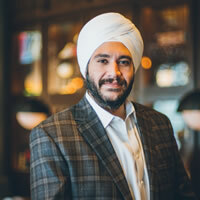 Singh has played a key role in driving the rapid growth of the business, recruiting key talent to the team, and acquiring major assets that have become the building blocks of the company. He oversees all content acquisition, original content development and business development, and works with the Indian government on matters including piracy, copyright and publishing. Singh has been instrumental in sourcing and developing key strategic partnerships with all the major and independent record labels, as well as telecom operators and smartphone OEMs. Singh is a serial entrepreneur with experience in ventures across numerous verticals, including music, media and technology as well as retail, real Estate and hospitality. He graduated from the College of Arts & Sciences at Tufts University with degrees in International Relations, Economics and Entrepreneurship.